On this show the topic of conversation was – How can businesses use storytelling? 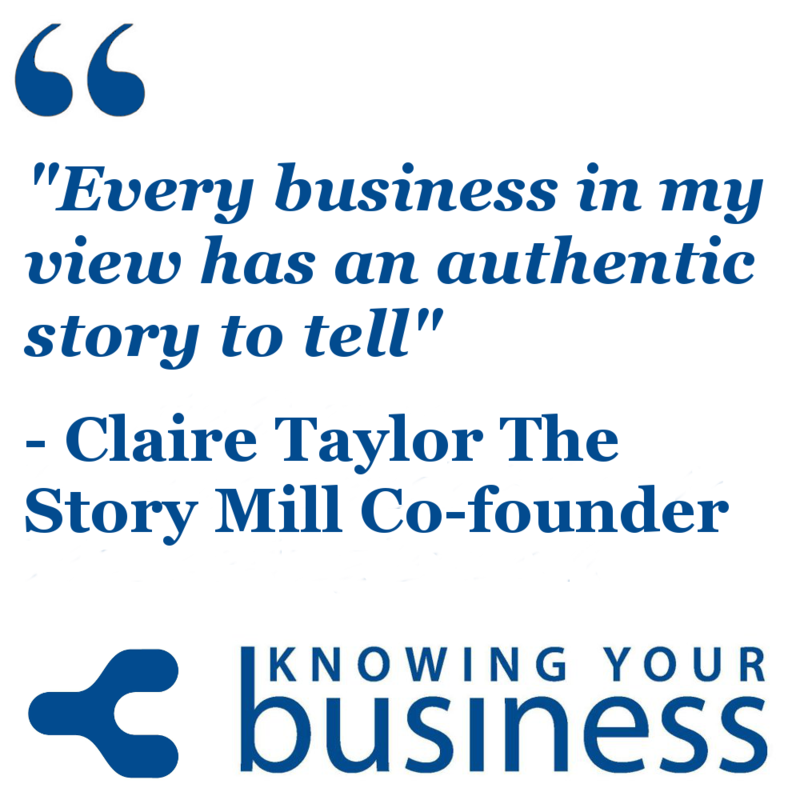 Who better to ask than The Story Mill Co-founder Claire Taylor for her expert thoughts. And what a fascinating conversation this turned out to become. The podcasts are available for your listening ears further down the page. Storytelling in business is often described as a way to enhance relationships and communication within organisations and externally with customers. It’s also said the purpose and practice of great storytelling in business is to influence others – customers, clients, organisations, job interviews. … every contact point should tell an emotional story. 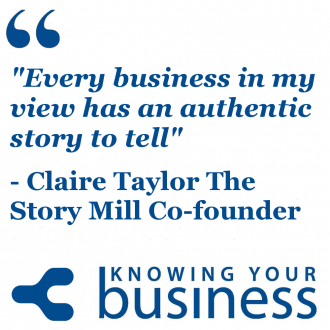 The Story Mill was founded in 2013 by Claire & David Taylor. Having both worked within large corporate organisations for many years and subsequently set-up their own consultancy businesses having learned a great deal about what it takes to be successful in business regardless of it’s size. Claire tells us in this 3:18 second snippet how telling a story when training can help to make a point and gives us this powerful example. In this 1:51 second clip we hear an example of where stories can come from. Every business has them. Claire explains in this 1:31 second snippet where the start point of storytelling often begins. Hear the FULL interview with Claire Taylor. It’s fascinating. If you have any questions for Claire or would just like to leave a comment, please do.